Cars have come a long way over the decades. Technology has made incredible improvements to engine quality, so today’s cars drive better and last longer than ever before. If you have been looking for ways to increase your engine performance even more, you’ve come to the right place for answers. 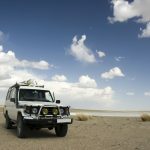 There are a number of things car owners can do to get the most out of their engines, helping them drive smoother, improve fuel economy, and operate longer with fewer mechanical issues. 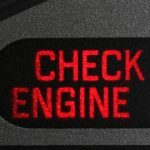 This article takes a look at a few of the ways you could start improving your engine performance right now. Compression is an aspect of engine performance that most car owners likely have never heard of, or at least don’t understand. And yet it has a huge impact on how much horsepower your engine produces. There are several popular ways for increasing engine compression, such as piston liner kits, forged pistons, and copper head gaskets. Be careful about how much compression you add, because not every engine is built to handle a compression ratio that is too high. Upgrading your air filters is another way to improve performance. Aftermarket air filters enable greater airflow to your engine for better use of the air/fuel mix. Higher-quality air filters also do a better job of blocking impurities that degrade performance over the long run. 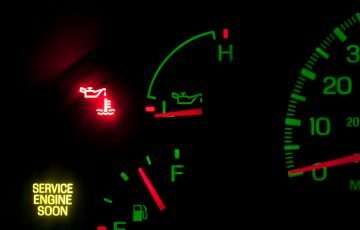 It’s unlikely that most drivers give much consideration to air temperature, yet it can make your car run more efficiently. The way an internal combustion system normally works is to provide warm air when the engine is colder and then cold air once the engine has warmed up. Installing a cold air intake kit improves performance because colder air is denser, which means that the engine will receive more oxygen. This results in a more dynamic combustion in your engine. The simple truth is that lightweight objects will move faster than heavier objects. Thus you can increase the performance of your engine by reducing the weight of your car. There are plenty of options for doing this. Use lighter parts that will make your car lighter and more aerodynamic. Consider replacing seats, using disc brakes rather than traditional brakes, and install plastic parts anywhere metal isn’t needed. Keep in mind that weight reduction is also one of the key ways to improve fuel efficiency. It should come as no surprise that all modern cars have on-board computers that regulate everything from engine timing to anti-lock brakes. Believe it or not, you can actually upgrade the computer chips in your car in order to increase performance. Aftermarket performance chips are programmed to override the factory settings. This is a great way to increase horsepower by presenting your engine with a new set of performance parameters such as increased air intake, which will of course impact the compression ratio. Another bit of good news about upgrading your on-board chips is that installation is easy, so you can do it at home. You’ll need to take the time to familiarize yourself with your car’s electronics. Then you can remove the factory chip and replace it with a performance one. It’s no different than upgrading a chip in your desktop computer. If you’re wanting to learn how to get the best service for your car, take a look at this website. Yes, you heard that right. Believe it or not, the quality of tires you use can have a significant impact on engine performance. And it’s not just a matter of investing in a new set of pricey tires. You can also get more out of your engine by making a few tweaks to your tires. First, make sure they are properly aligned. You’d be shocked the difference good alignment makes. Shorter tires will help increase acceleration, and installing lighter carbon-fiber wheels will reduce the overall weight of your car, making it drive faster and more efficiently. This is an upgrade that essentially involves rebuilding your engine, but it’s also a great way to increase the horsepower in your car. Installing a supercharger or turbocharger can be an expensive and complicated process, but if squeezing every drop of performance out of your engine is top priority, it’ll be worth every penny. Keep in mind that while large-block engines require a supercharger, smaller-block engines take a turbocharger. Root superchargers work by funneling large quantities of air through the intake manifold, providing quick bursts of energy to the engine. Centrifugal superchargers pull high-pressured air into a compressor, and are the most efficient type of supercharger. Twin screw superchargers, on the other hand, are not legal in all states and tend to be extremely loud. Believe it or not, the gas you use really does make a difference. 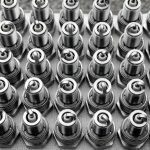 This is because most modern car engines are designed with a device called a knock sensor. This device sends a signal to the Engine Control Unit, which regulates when the spark plugs fire. When you use low-octane fuel, this can cause the timing to be off slightly, thus diminishing engine performance. This will result in a loss of power as well as decreased fuel efficiency. Some experts even argue that this loss in fuel efficiency is significant enough to actually cancel out the price difference from buying the more expensive gas. We encourage you to read the owner’s manual for your car to see what type of fuel is recommended by the manufacturer. 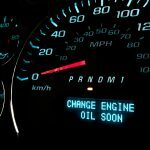 The tips contained in this article can help you maximize engine performance, save money on gas, and keep your car running in top condition. Click here to see 8 ways to customize your car without looking like a tool.